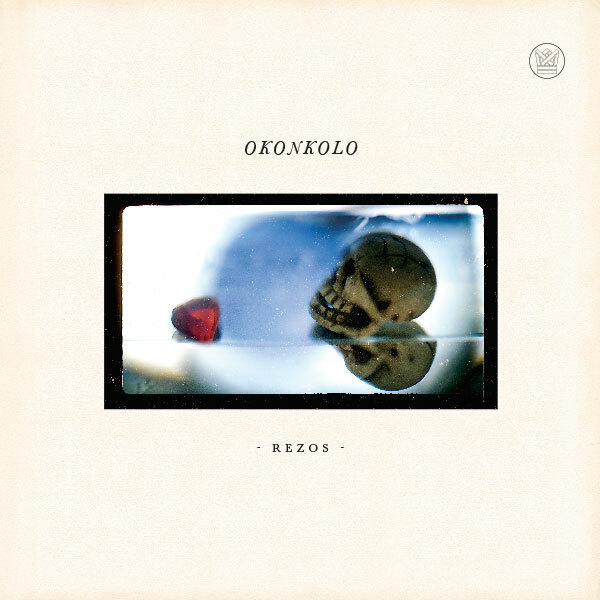 Okonkolo‘s 4-track EP ‘Rezos’ is out worldwide on May 20th. You can get it in all formats now exclusively in the BCR webstore. This is how Abraham Rodriguez, lead singer of Okonkolo, describes his introduction to the Santeria religion. In the decades that followed, he would become a priest and master drummer, using these sacred bata drums to bring the Orishas (Santerian gods) down to earth. The Santeria religion endured the transatlantic slave trade from Africa to the solares of Cuba and arrived in New York by way of Caribbean migrants who sought a better life in the barrios of the Bronx and Brooklyn. This is where Rodriguez met Okonkolo producer and guitarist Jacob Plasse. “I met Aby in the early 90s, doing salsa gigs over at Plan B in the lower east side,” recalls Jacob Plasse, producer and guitarist for Okonkolo. “After I had played there a couple times he told me one week I should arrive later, because the first part of the show was going to be different. Well needless to say I came early to see what I wasn’t being included in,” Jacob laughs. “Abraham was doing a tambor for Chango. I had never seen anything like it. In Cuba I had gone to some amazing tambors, but somehow what Aby was doing was different it was the bata repertoire but with his own subtle New York doowop thing happening, and in a salsa club no less! It was beautiful and unique, and I wanted to figure out a way to collaborate, even if I had to wait 10 years”. Jacob and Aby would continue to do gigs sporadically, but were involved in their own projects, with Aby eventually moving to Florida to do religious work. Years later, a brush with tragedy brought them together again when Abraham was the victim of a shooting. Santeria gave Abraham Rodriquez the strength to recover. The musical prayers that make up Okonkolo’s debut EP Rezos (Prayers) are some of the most complex and beautiful that any classical tradition has produced. They are also some of the oldest, addressing Obatala, the creator of the world, Ochun, the goddess of love and beauty, and Chango, God of the drum. Okonkolo is a result of this collaboration – Abrahams soulful voice calling down the Orishas, the bata drums and voices soaring through the horns and guitars of Plasses’s production. The beauty and otherworldliness of these prayers endures, the rhythms and chants reimagined in a way that is somehow both ancient and new.